“20,000/25,000 in UK, 17,000 in France, more than 5,000 in Spain, 2,000 in Belgium, and in total there are more than 50,000 radical islamists in Europe,” EU Counter-Terrorism Coordinator Gilles de Kerchove says during an interview on the Spanish newspaper El Mundo. 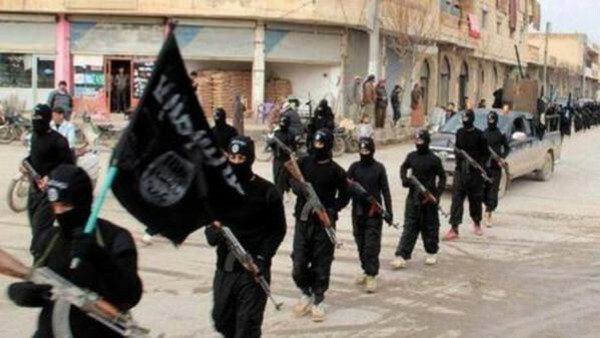 Concerning the foreign fighters, the chief of EU counter terrorism says they are around 5,000. One third of them came back to Europe and the one third died during the war. Where do the foreign fighters come from? 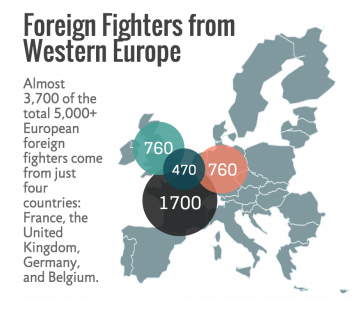 The number of foreign fighters from Western Europe has more than doubled since June 2014, a study of Soufan Group reveals.